Sikkim, also known as the Hidden Kingdom, is renowned for its stunning Himalayan views. 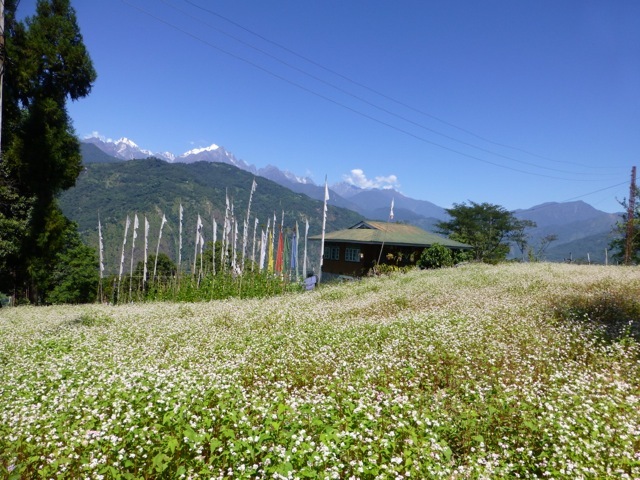 Spring is the perfect time to visit Kalimpong, renowned for its beautiful gardens, pleasant climate and Himalayan views. We visit some interesting shops & local markets. Delivering sponsorships to monks & nuns at the nearby villages of Mungpu & Burmek is a highlight of our stay. We drive through beautiful landscape into Sikkim. Stay 2 nights at the outstanding Biksthang Heritage Farmhouse. Then a short drive to Pelling in Western Sikkim. Day trips to the nearby Kechopalri lake, the fascinating Tashiding Gonpa and Pemayangtse Monastery. A gentle walk to the mystical and sometimes misty Sangyak Choeling. 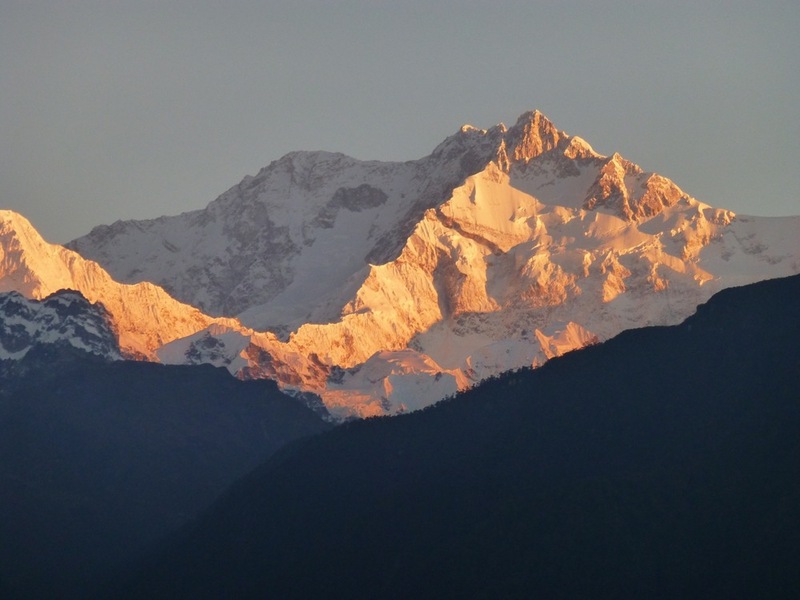 Incredible views of Mt Kangchenjunga at sunrise from our great hotel Mount Pandim, Pelling. 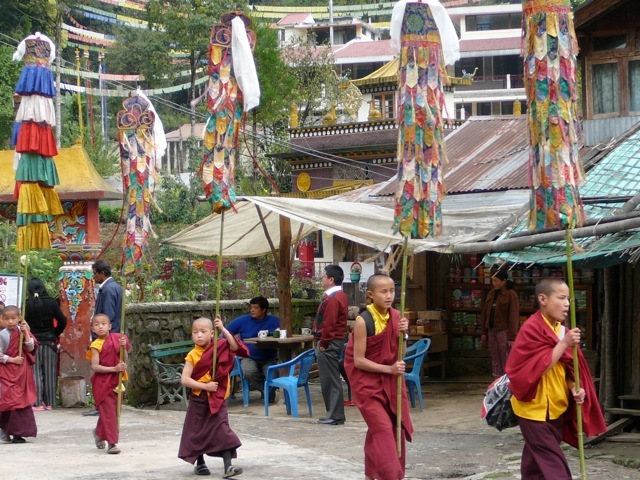 Gangtok, Sikkim's capital city, is situated on a ridge with fantastic views of Mt Kanchenjunga. 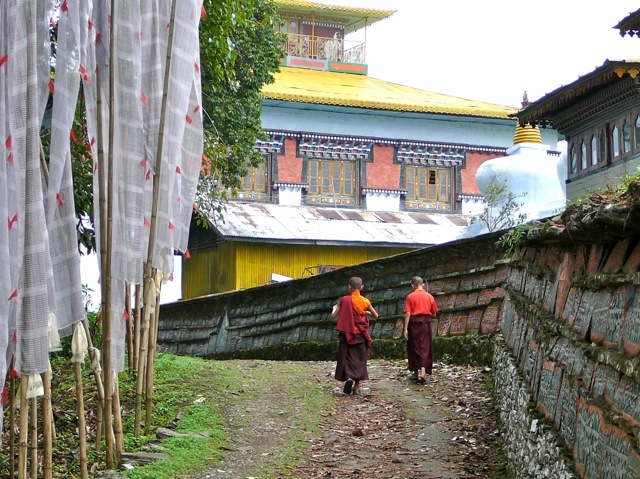 We visit the renowned monastary of Rumtek, seat of the Karmapa. There are several short walks to gardens, the palace & some interesting shopping. Darjeeling is a bustling town with beautiful tea gardens & glorious views of the Himalayas. During our stay we can visit Sonada Monastery, Tibetan Refugee Handicraft Centre, an organic Tea Plantation and of course the famous Tiger Hill for early morning views of the Himalayas. We take the scenic route through tea plantations & visit the small tourist town of Mirik on the way to our hotel close to Bagdogra Airport, ready for departures to Kolkata or Delhi on the morning of 24th April. Sonam translates English, Tibetan, Bhutanese, Nepali & Hindi. He has a B.A + B Ed. and for 30 years he taught English, Tibetan and Social Science at high schools in West Bengal and Sikkim. He has retired to study Buddhism more thoroughly. Travelling through this mystical land it is easy to feel a pervading sense of serenity & stillness.